Looking for a consolidation of the very overbought condition. Looking for a test of the 38sma, for a bounce. Still think fb has entered a multi-year consolidation phase. At support and oversold. There is a probability of seeing 38-39. 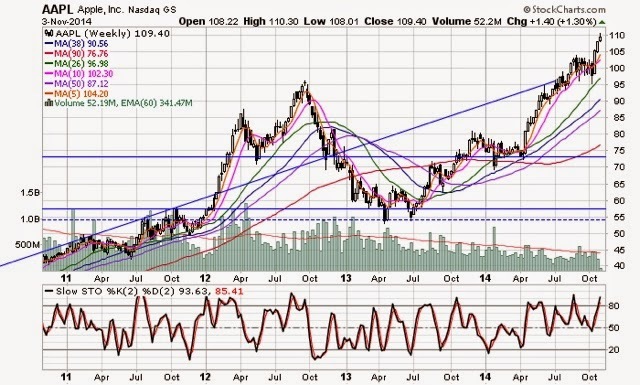 Looking for a retest of 93ish. Hoping for a sell-the-news event tomorrow via baba, and it takes yhoo towards 42. Still think it showed hints of its effective turn around in the last report. Big fan of the CEO and what she has been doing. Core property and tumblr should be eventually valued near $30-50B.